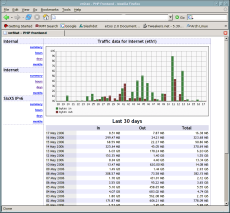 This is a PHP fronted end to vnStat, a network traffic logger. Since vnStat is console mode only I created this script to make a 'nice' report of the data collected by vnStat. For more information about vnStat check out the vnStat homepage. 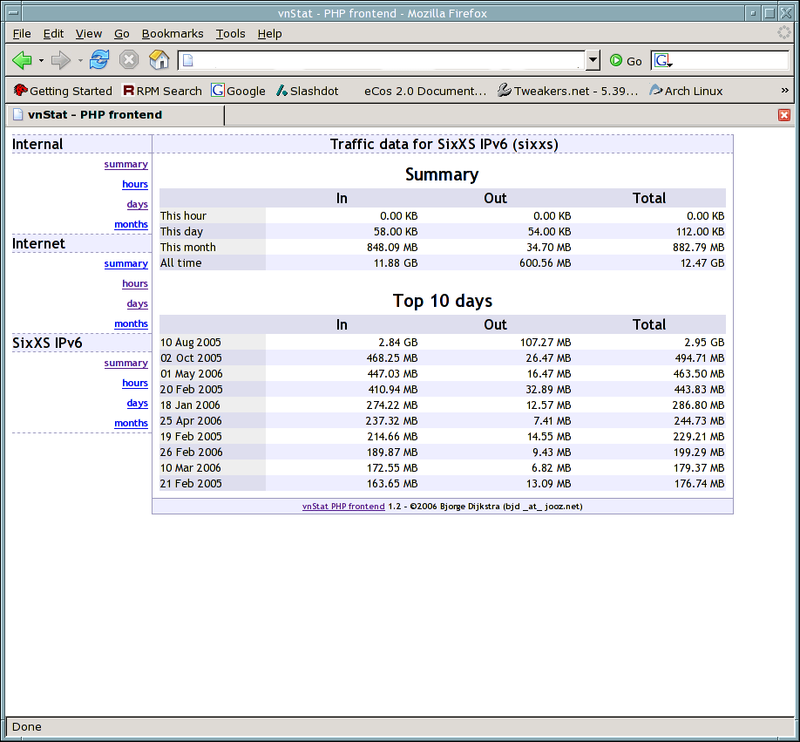 This script requires a working PHP setup with GD image libraries. Also vnStat must be properly installed and collecting data. For information about how to set those up please check their respective homepages (see links section). 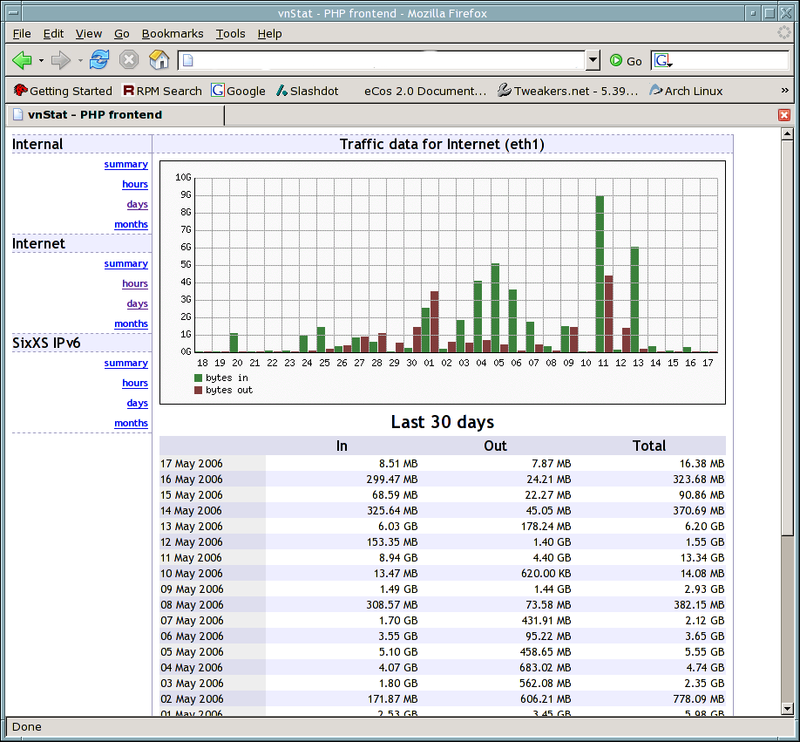 vnstat PHP frontend is ©2005-2010 Bjorge Dijkstra and licensed under terms of the GPL. Send comments and questions to: bjd_at_jooz.net (replace _at_ with @).